It’s no secret that I’ve been critical of certain annuity sales practices, especially those associated with equity-indexed (fixed indexed) annuities. I’ve cited Allianz Life specifically as a company whose past product development and marketing strategies have not been good for the long-terms interests of the annuity industry. In stating publicly what many in the industry whispered privately I staked out a lonely position. But the truth is, for years it has been impossible to think about the indexed annuity business in any context that does not involve Allianz Life. It would be hard to imagine another large industry where a single player for so long a period of time commanded such a large share of the market; about one in three indexed annuities sold have been issued by Allianz Life. That Allianz has experienced significant challenges is no secret. It’s been the subject of class action lawsuits and sanctions by regulators. I’ve heard some of Allianz’s defenders infer that this unwelcome attention has been the result of its standing out as the industry’s largest provider. But that line of reasoning never rang true, in my judgment. Yet it would be unfair to presume that Allianz Life’s traditionally aggressive, sales-driven culture couldn’t change. And that its perceived commitment to the best interests of consumers couldn’t improve. When I spoke with Tom Burns I came away from the conversation with exactly this belief. Corporate cultures can change. Such change, when it occurs, is generally driven by a changeover of top management. That’s what’s happened at Allianz Life. I found Burns to be quite candid considering the scope and sensitivity of his responsibilities at Allianz. In fact, Burns struck me as coming from a background similar to my own; one rooted in the values-based mindset engendered in young life insurance agents. So, it would seem that Allianz Life has turned a corner. I was most surprised with Burns’ calling for annuity providers to “work together” in the best interests of the annuity industry. This is certainly a change from the past. Judge for yourself as you read the interview. DAVID MACCHIA: Tom, to begin, my readers would be interested in knowing about your background. Will you tell me about your life before entering the life insurance business? Tom Burns: I’ve been around awhile. My father was an agent with Prudential in a small community in southwestern Minnesota for 30 years. I really wanted to be a professional baseball player. I decided I’d play college ball and if I’m really good, the scouts would be there. Guess what, the scouts were not there. I played four years of college baseball, ended up with a degree, joined my father in the business and, unfortunately, he passed away three months later. I found out real quick at age 21 how important life insurance and planning for a family really are, especially for my mom and the rest of the family. I ended up running an agency for 15 years here in the Twin Cities, the largest agency for Prudential Preferred. And then in a weak moment they talked me into the home office. I managed the whole country on the brokerage general agency side. And then I got a call from Securian Minnesota Life about five years ago, and I went over there and ran all their distribution for about four and a half years. And I was very fortunate with some help of a lot of great people to turn it around and they had three record years. And then I got a call from Allianz about 14 months ago – and you know the challenges that we’ve had here. DAVID MACCHIA: When I think about you coming into Allianz now, considering the new leadership that’s taken charge, I make an analogy, based upon years of observation of Allianz, that it’s like sort of having a close relative who just goes a little sideways for a while, and then at some point, somebody is able to bring him back to center, and puts him on the road to growth and happiness again. Does that analogy ring true to you? Tom Burns: In the time I’ve been here, I’ve found that this company had such rapid growth, and with such rapid growth you start looking inward. And, you know, I think you’re right that with rapid growth comes challenges. Any business that grows that fast will present issues to deal with. We have been able to streamline some things recently and are continuing to put additional measures in place. DAVID MACCHIA: Let me ask you about what you obviously know, which is that a lot of damage has been done to the index annuity business. And the result of that is that some segments of the annuity business – especially indexed annuities – plummeted in terms of public perception. Now, here you are with this huge responsibility in a company that’s been a market leader for a long time in this line of business. From your vantage point what measures can be taken to improve the public image of the index annuity industry? Tom Burns: The whole industry needs to work together on this issue. One thing that we need to do is more effectively convey the value of annuities as a part of overall retirement planning. As a society we have yet to fully come to grips with the implications of people living longer but with much less of the income protection that we used to see from traditional pension plans and, at the same time, more people relying on social security income while fewer workers are available to support it. At the same time, we need to continue to improve our processes to ensure that the products are marketed appropriately. Suitability review is a very important part of that. We launched our suitability program nationwide in 2005. Our program today is much improved since then, and we are committed to continuing to make it better. We’re working through industry associations on “suitability” standards. I want to make absolutely sure that our suitability is the best it can be. DAVID MACCHIA: I want to come back to the question of the past, which I recognize is not your responsibility, but it is your legacy to some extent. You’ve inherited a mantle and I think that you’re simultaneously blessed, blessed to walk into such a robust sales organization with so many agents and such a heritage of sales leadership, but also cursed because you’re also saddled with some of the negatives, the baggage that is a hold over from the past. So in terms of the marketing and sales activities, I don’t have to tell you that Allianz has been criticized by regulators and it’s been the subject of civil litigation and regulation at the state level and actions that you’re aware of. I imagine that it would be more enjoyable for you to be able to look forward only and not have to look at the past. How do you balance the legacy issues with an eye toward the future? Tom Burns: We can use the experiences of the past to inform what we do today and how we can make it better tomorrow. Let me go back to suitability as an example. When we first launched our suitability program nationwide, we allowed policyholders to opt out of providing financial and other information to us. This opt-out is allowed by state suitability regulations. But after working through the program, we grew increasingly uncomfortable with opt-outs because without that information we could not do our own assessment of suitability. So last year we eliminated the opt-out option. If a policyholder is not comfortable providing us with the information we need to assess suitability, we understand that, but if we cannot independently assess suitability, we will not issue the policy. We will continue to use the experience of the past as a guide to how we can improve in the future. DAVID MACCHIA: Wealth2k for years has enjoyed a robust business making the preeminent multi-media presentations for a number of indexed annuity providers. I also owe it something else in the larger sense of the annuity business, namely that the annuity business gave me more financial reward, more education, more professional opportunity than I had any right to expect as a young man entering the business in 1977, a rookie agent selling tax sheltered annuities. So when you consider – I mean your words resonate with me – companies working together, prioritizing the consumer, not so much always worrying about distribution. Why then, given what you just said, would it be hard to get companies behind an effort that is so manifestly pro-consumer as placing unbiased consumer education in the very center of the process. Why would you imagine it would be difficult to do that? Tom Burns: After 29 years, I want to be known as someone who made a difference. This is new for me to have the negative press. So what can I do personally and professionally to change that? First of all, it’s reputation. Secondly, it’s adding customer value. So, when I talk about a legacy, that is so, so important for me because I’ve been blessed, too. My father was a good agent, and the opportunities that this industry has afforded me and my family are unbelievable. And I’ve seen life insurance work in people’s lives. DAVID MACCHIA: I can’t disagree with anything in your answer, but you didn’t address the question I asked. Can the industry progress from an ideal that says companies should get together and prioritize the consumer in a functional, demonstrable way? Can we go from the ideal to a reality that actually shows that? Tom Burns: Well, I think we can. I really believe we can. I know that we wholeheartedly support unbiased consumer education. That’s what our new Partnership for Consumer Trust is all about – making sure consumers are fully informed about the products they are purchasing, which, by the way, we believe are incredibly useful to them. The industry knows that this is important and that we can’t let it slide. DAVID MACCHIA: I agree with that because it will be at the industry’s peril. And one of the ways it imperils the business’s future success is something that I’m deeply involved in for a number of years – of boomer retirement security. One of the reasons that I have been so aggressive in my comments, and critical of poor sales practices and inferior contract designs, has to do with boomers approaching retirement and what their march toward retirement means in terms of a business potential for the annuity industry. What I’m getting at is, and I’m sure you know this, that it’s been academically demonstrated that as people approach retirement, in those years leading up to retirement, it becomes very important to put a principal guarantee under accumulated retirement assets while also maintaining upside growth potential. Similarly in the first few years after retirement the same protection is called for. And the reason is if you have investment losses in those two periods, the result is, at the very least, you will have less retirement income than you otherwise would have had or, depending on when the loss occurs, you may run out of money entirely while you’re still alive. DAVID MACCHIA: So, given that the value proposition I describe – downside protection combined with upside growth potential – is the value proposition of an indexed annuity which the industry has allowed to get so clouded and camouflaged through such a poor level of transparency, and so much misleading sales practices activity, that the pristine value proposition got lost. And so what I’ve been trying to do, in my own way, with limited resources, is liberate that value proposition. Because, as I’ve said often and publicly for two or three years now, the $28 billion dollar high water mark for indexed sales could easily be $100 billion. Tom Burns: I Disagree that there has been a lot of misleading sales practices. Obviously there has been litigation alleging misleading sales practices. The problem here really ties back to the need for more and better public education about annuities. One of the challenges in selling annuities is that people don’t start out with a solid baseline of knowledge about annuities, compared to other financial products such as CD’s and mutual funds. So in some cases selling these products presents a challenge in getting people to understand the fundamental concept of an annuity. DAVID MACCHIA: If I’m reading you right, it sounds like Allianz is committed to altering course and really changing that. Tom Burns: I would say as a business there’s leadership here that absolutely wants the consumer first. And also we value distribution, but the consumer first. DAVID MACCHIA: Now, let me ask you this: Do you worry about the onslaught of negative that continues around the annuity business – and specifically the indexed annuity business? And we’re aware that — I’ve read where Dateline NBC has, done a story on annuities using hidden cameras taping the annuity presentations. It sadly reminds me of the approach they take with the child predator programs that they’ve run. I mean you open up the cover of Parade Magazine and you read a headline like, “Don’t Make A Costly Mistake.” And a lot of this was driven by a liquid contracts and two-tier contracts and I’m mindful of the fact that you mention that the focus now is on single share contracts. My point is — my point is do you fear that the negative press and the deteriorating public perception can sink so low that the annuity business may not be able to turn the corner and start to go the other way? Tom Burns: I don’t fear for the future of annuities because the need for them has never been greater, and will continue to increase. And we will continue to offer two-tier annuities because for people who are looking to the long term, and who want a product that offers periodic payments for the long term, they can be a very good alternative. We will turn the corner and go forward. I don’t know if you remember, but Metropolitan went through it and Prudential went through it in the old life insurance days. Painful, but I think you become a better company and a better industry as you get through it. You look at all the wonderful agents and registered reps who do such wonderful work, and you believe we can get through it. DAVID MACCHIA: Other large financial industries are obviously very aware of the baby boomer retirement opportunity, and they’re aware of the financial need that I mentioned earlier in terms of the importance of providing principal protection combined with ongoing growth potential. And companies that are not insurance companies have clearly set their sights on the core annuity customer. Now, what does it mean for an annuity provider, such as Allianz, say, when companies perhaps with names like UBS, Merrill Lynch, Morgan Stanley, Deutsche Bank, and others are developing and offering products aimed at the same core customer, products which develop the same essential value proposition? Does that make this a special urgency for the annuity business to align itself more appropriately than it is right now? Tom Burns: Yes and yes. Competition is challenging for us but in the long run good for the consumer. But keep in mind that annuities offer something that the others don’t: that option of a guaranteed income for life. So the value proposition being offered by some of these competitors may be similar, but it isn’t the same. Every Tuesday for 2 hours we get together – the chief actuary, the chief distribution officer, the president of North America, I mean the senior-senior most people of this company – and we look at today’s products and what the future products are going to be 12 to 24 months down the road and who is going to be selling them. The future is going to be really exciting to see, and I want to be part of that versus being complacent, being innovative versus being reactive. We’re developing some products right now that I can’t share with you, but it’s going to be really exciting. DAVID MACCHIA: Let me ask you this: If we were to be speaking again three years from today, looking back over those three years, what would have had to have happened in order for you to feel great about the progress you made? DAVID MACCHIA: An admired company? Tom Burns: Yes. Look at the great opportunity we have for all the people who are going to retire, but who don’t want to retire with less money, or less income than when they were working. We’re calling that stage “decumulation” because it’s different from all the working years when people were accumulating assets. So, what we’re thinking about is how do we position ourselves in our industry to be the company people choose to help them with their income needs for the rest of their lives. 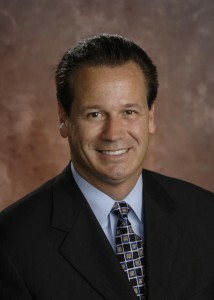 Tom Burns is chief distribution officer for Allianz Life Insurance Company of North America. He is responsible for sales, distribution, and marketing. ©Copyright 2008 David A. Macchia. Al rights reserved. When I came up with the idea for a blog based, in part, on interviews with executive leaders in financial services I couldn’t have known how popular the one-of-a-kind conversations would become. Nor could I have foreseen that Research Magazine, under the byline David Macchia Interviews, would publish one of my interviews each month in both its print and online editions. To my delight this has significantly expanded readership. Research kicked-off with my interview with LPL’s Mark Casady in its March issue. DWS Scudder’s Philipp Hensler appears in the April issue. Some of you may have noticed that it’s been a while since I’ve published any new items here. But after taking a month-long sabbatical I’m charged-up with ideas. Look for more essays and interviews beginning Monday, March 31. If you’ve enjoyed my writings on the annuity business you may find the next interview to be especially interesting. Somewhat to my surprise, Allianz Life’s Tom Burns agreed to speak with me. After stepping into the lion’s den, Burns revealed much during our conversation. Look for it on Monday.